This year, more than 26 million tourists will visit Thailand and make their way to the country’s fabulous beaches, jungle retreats and island resorts. As one of the world’s most beloved travel destinations, Thailand has it all: beaches with gorgeous vistas of the tropical sun, resorts with world-class hospitality, and endless shopping opportunities. What a lot of people don’t know is that Thailand is also an excellent choice for families, with the low cost of living and cheap flights to Thailand increasingly available. This guide will give you a brief overview of what to expect and where to go for a Thailand vacation with your family that won’t break the bank. 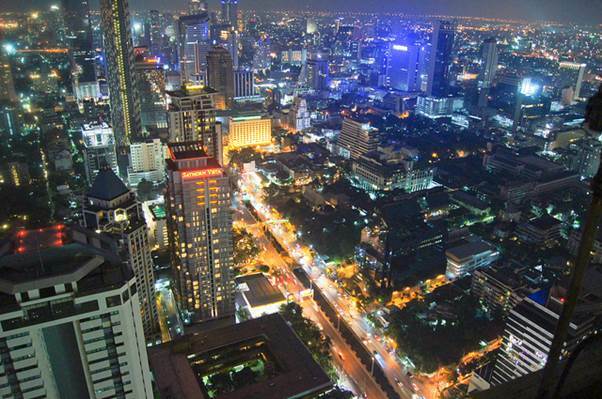 Bangkok will likely be your first stop in Thailand since most flights land here. Despite the crowds, Bangkok remains a must-see – the lights, sounds and smells of a Thai city 6.5 million strong will be something kids will remember for a long time. Plus, the city has hotels to fit virtually any budget. The Dusit Zoo is a great place to catch some local wildlife, and the kids will love the Siam Park – the biggest water park in the city. For a really cheap but fun day out, head out on a traditional longtail boat and tour Bangkok’s canals. After Bangkok, the gorgeous island of Phuket is the first thing people think of when you say the word “Thailand”. Try to avoid the summer (May-October) when it rains a lot forcing shops to shut down. Beaches like Karon, Kata and the famous Patong shores are all free and too stunning to miss. Phuket’s waters are full of marine life and you can go snorkeling in the Andaman Sea with the kids for an experience of a lifetime. Save on dining with inexpensive meals out from the numerous street stalls. Or, splurge on dinner at one of the upscale restaurants in the area. Chiang Mai is the biggest city in northern Thailand, boasting a population of nearly 150,000. Don’t let these numbers fool you though. Despite its size, Chiang Mai has a decidedly small-town feel to it. Far away from the sea and the bustle of Bangkok, Chiang Mai is a great place to start your Thai adventure, especially if you want to explore the country’s rich natural heritage. 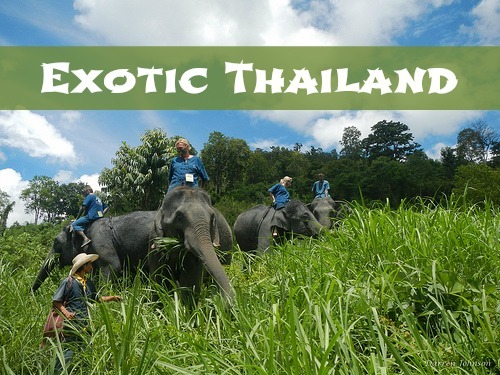 Ride an elephant at the Maesa Elephant Camp for thrills for all ages, take in the Chiang Mai Zoo and Aquarium or visit the Mae Sa Park and Waterfalls near the town. Museums like the Museum of World Insects and Natural Wonders are very low cost and you can even get a cheap cable car up to the temple of Wat Phrathat Doi Suthep – on a mountainside! A large island on Thailand’s east coast, Koh Samui operates at a slightly less frantic pace and is a great places for families to unwind and explore the country’s natural beauty. Visit the Mae Nam, Chaweng and Bohput beaches with your buckets and shovels, or roam the Angthong National Marine Park, filled with untouched sands, gorgeous limestone cliffs and tiny little islands out in the bay. Holiday resorts in Thailand will allow a lot more luxury for your money than Western destinations, so it may be easier than you think to grab a bargain vacation here. What’s more, children are given an especially warm welcome in the Land of Smiles, so everyone in the family wins! This post is contributed by Dialaflight.com. Please see my sponsorship page for more information.